The 112th Congress convened in January 2011, and a shorter version of a Lyme disease bill, HR 2557, was introduced on July 15, 2011 by US Representative Christopher Smith of New Jersey (for himself, Mr. WOLF, Mr. HOLDEN, and Mr. GIBSON). The bill was referred to the US House Committee on Energy and Commerce. The bill establishes a Tick-Borne Diseases Advisory Committee. That Committee will promote coordination of actions taken by government agencies on tick-borne diseases and will allow a public voice on these actions. Many other major diseases already have advisory committees. To see the text of HR 2557, go to the Lyme Disease Association’s Government Section on its website and click on the link marked Lyme Bill Text & Summary (click here for a direct link). The Honorable Mr. Smith, who is the co-chair of the US House Lyme Caucus, reviewed all past bill language including committee structure and function for clarifications and updates and received public and official input regarding changes, which were made to increase the chance of bill passage in the current economic climate, which dictates financial restraint. Go to bottom left hand corner of LDA’s Legislative Section link for a "by state" listing of Congressmen and their contact information. Using the information provided on the LDA website (phone, fax, email form), contact your personal US House Member and ask him/her to co-sponsor HR 2557. To assist you, sample phone blurbs and letters can be found by clicking here. According to Govtrack.com, an independent government watchdog organization, Congressman Christopher Smith ranks 3rd out of all 435 Members of US House of Representatives in turning bills into law. With your support, we can help him add cosponsors to the Lyme bill, not only increasing chances of bill passage, but also educating officials and demonstrating public and Congressional interest in tick-borne diseases. Thanks to your past efforts legislatively, many more officials are aware of the continuing plight of Lyme patients. We need to gain more leverage in Congress, which can generate other federal actions to benefit the Lyme community. The LDA is an all-volunteer national nonprofit, 501 (c) (3), dedicated to raising funds for Lyme disease education, prevention, research, and patient support. It has been accepted into the 2011 Combined Federal Campaign, making it a government recognized charity. It is also an Environmental Protection Agency PESP Partner. LDA offers the LymeAid 4 Kids program for children without insurance coverage. 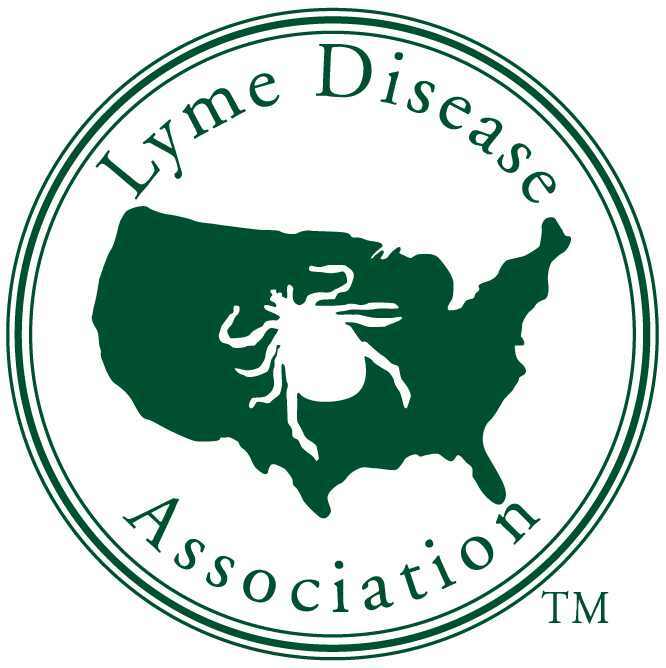 LDA is associated with 44 Lyme organizations nationwide, working together to make a difference for Lyme patients.